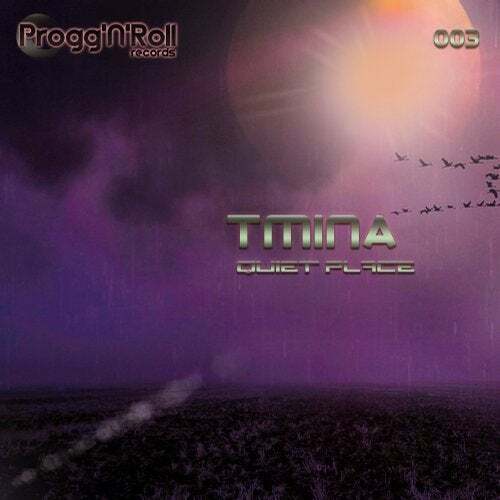 Progg'N'Roll Records presents a very unique EP "Quiet Place" from Tmina project! Tmina a.k.a Mina Matic was born in Serbia and hails from a small peaceful town called Sremska Mitrovica. From her early year's creation was always in Mina's soul and mind. From a very young age, Mina became a highly skilled creative artist. Her passions include painting, designing, singing; in many choirs as well as alternative metal bands. Music was forever rolling in her creative mind, and this inspired her to work hard on many projects. As time passed Mina became really intrigued and interested in electronic music and very quickly decided she wanted to learn how she could make her own sounds. After many years of blood, sweat, and tears; lots of effort - trying to build on her ideas, and to mix different genres into one concept - she was ready to present her craft to the world and her project Tmina was born! Mina's music can be described as deep, mystical, hypnotic, progressive, ethnic and psychedelic sounds; with a unique groove, percussions and deep cosmic atmospheres. Her sound refuses to be pigeon holed, and is a combination of many musical genres, fused together succinctly into one epic conceptual project. In 2017 Mina released her first EP on the mammoth Ovnimoon records, which was a huge success and charted high. Mina also has more upcoming releases on Ovnimoon Records and two new single releases on Reincarnations Recordings. In 2019 she makes her own label together with her family and continues her work there. Enjoy in 3 new deep progressive tracks!